White paper on TAC rate design (February 2018): Outlining the specific cost-shifting impacts, relationship to cost-causation, legal requirements, and specific technical aspects of TAC rate design. 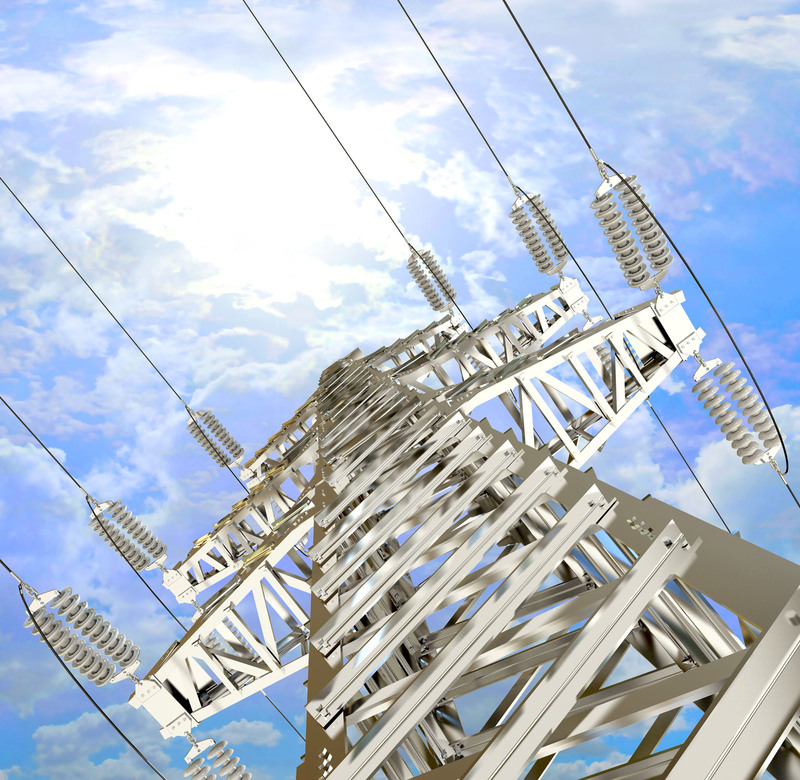 October 9, 2018 comments on Transmission Access Charge Structure Enhancements: Draft Final Proposal: Comments on the CAISO draft final proposal that was published on September 17, 2018. June 15, 2018 letter opposing Assembly Bill 813 on CAISO expansion: Proposed CAISO expansion would not deliver the promised benefits and there are cheaper and more effective ways to address electric transmission issues. February 15, 2018 sign-on letter calling for TAC structural change: Submitted by the Clean Coalition; 29 distributed energy resource developers, environmental groups, and energy experts calling for a change in the TAC structure to charge transmission use charges for energy using the transmission grid. February 15, 2018 Clean Coalition white paper developed on TAC rate design: Outlining the specific cost-shifting impacts, relationship to cost-causation, legal requirements, and specific technical aspects of TAC rate design. February 15, 2018 comments on CAISO’s first TAC structure straw proposal: Addressing the concerns and issues raised by CAISO with respect to its first straw proposal on the TAC structure. October 13, 2017 comments to the CAISO containing official Clean Coalition TAC proposal: Using the CAISO template based on the most recent stakeholder sessions. September 27, 2017 comments to the CAISO proposing refinements to the flawed TAC estimating model: Pointing out that consideration of only approved projects will fail to account for projects that will be planned as new energy needs arise and therefore greatly underestimate future costs. September 1, 2017 reply comments on Renewable Portfolio Standard (RPS) procurement plans from Load Serving Entities: Encouraging a steady market for distributed renewables and optimal usage of federal Production and Investment Tax Credits, and reiterating the importance of the TAC market distortion on distributed energy resources (DER) in any CPUC approved RPS procurement. July 26, 2017 comments on CAISO’s “Review TAC Structure” stakeholder initiative: Proposing to change the TAC billing determinant to the transmission energy downflow. This would result in more accurate market signals for the cost of delivering energy, the deployment of more distributed energy resources, and massive ratepayer savings in avoided transmission costs. January 10, 2017 comments to the California Energy Commission (CEC) on Renewable Energy Transmission Initiative 2.0: Emphasizing that California’s transmission needs to meet Renewable Portfolio Standards and greenhouse gas targets will require consideration of the growth of DG resources and paying close attention to the TAC issue. January 9, 2017 comments on CAISO’s Stakeholder Initiative Roadmap: reviewing the TAC Structure stakeholder for inclusion in initiatives for January 2017. September 29, 2016 comments in CAISO’s 2017 catalog of initiatives: Updating CAISO’s review of the TAC wholesale billing determinant and ensuring stakeholders are aware of the expanded scope and opportunity to participate in 2017. August 25, 2016 comments in CAISO’s TAC Options initiative: Reviewing the working group proposals on how to assess TAC for new transmission projects under an expanded CAISO jurisdiction. June 30, 2016 comments in CAISO’s TAC billing determinant initiative: Detailing the Clean Coalition’s proposal to fix the TAC market distortion by changing the billing determinant and responding to initial questions from CAISO staff. June 10, 2016 comments in CAISO’s TAC Options initiative: Explaining how the Clean Coalition’s proposed TAC fix might apply in an expanded CAISO jurisdiction. June 9, 2016 comments in CAISO’s ESDER initiative: Reacting to the creation of a separate stakeholder initiative and requesting a prompt review of the Clean Coalition proposal. April 18, 2016 comments in CAISO’s ESDER initiative: Detailing the Clean Coalition’s proposal to fix the TAC market distortion by changing the TAC billing determinant. February 10, 2016 comments in CAISO’s TAC Options initiative: Proposing a change in TAC billing determinant to resolve both the existing market distortion for distributed energy resources and assessing TAC in an expanded CAISO jurisdiction. November 20, 2015 comments in CAISO’s TAC Options initiative:Identifying the distortive market impact of the current TAC assessment process on DER and highlighting ratepayer savings if the problem is fixed. September 24, 2015 comments to the CEC: Raising awareness of the TAC market distortion.